Meat is a definite staple for any good Mexican meal. Of course there are the exceptions like chile rellenos and red cheese enchiladas. However, if you are planning a meal to wow your family or guests there are a wealth of meat centered meals that fill satisfy the appetite and taste buds! You can find these meats and nearly all the ingredients at Productos Real in El Paso. Take a look at these authentic meal ideas to prepare for your next dinner party. If you are having overnight guests or lots of family staying at your house menudo is an excellent Mexican meat meal to prepare. This traditional dish is great for Sunday mornings while enjoying the paper and a cup of coffee. Tripe, or beef stomach is the staple in this dish. Pata de puerco, or pig feet is another delish meat to add to this soup dish. Add hominy, spices and chile colorado and you are set. While this dish does take plenty of hours to cook, it is well worth the wait. Your family’s mouths will water as the home fills with the delicious aroma of spices and meat. 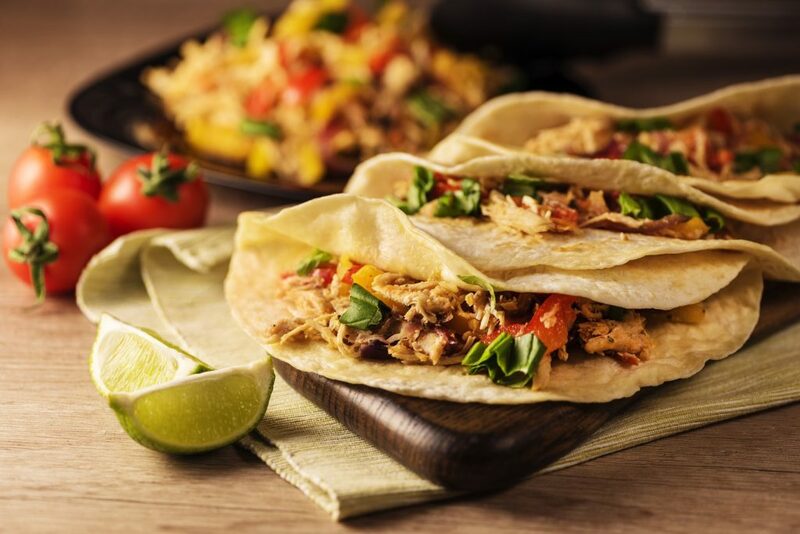 There is no shortage of tacos with Mexican meat for your family to prepare. Buche, barbacoa and pork are all great fillings for tacos. Whether your family prefers authentic street style soft tacos or crispy fried tacos, these meats will go great. You can top them with asedero, queso fresco or muenster cheese for a truly authentic taste. Paired with a side of rice and beans and spicy salsa is the best way to go. The best thing about tacos is the fact that you can feed plenty of people without breaking the bank. Whether you want to add chorizo as a spicy sausage to your chili beans or for a big breakfast Productos Real has prepared chorizo that can go straight into your Mexican meat dishes. This is a staple that, honestly, should be in every El Paso fridge! It offers a rich spicy flavor. For a good twist on the norm some even like to add it to burgers, pizza, and other dishes as well! When you are looking for rich authentic flavor to satisfy your family’s cravings for good Mexican food, you can’t go wrong at Productos Real. We have a wide variety of cooked and raw Mexican meat. Whether you want to simply stock up the fridge for coming weeks or are feeding visiting guests, be sure to visit our market. When it comes to rich flavor and quality ingredients, we deliver.